There is a movie I cannot stop watching. If it is on television I will be glued to it regardless of where I pick it up in the flow of movie. I watched it while it made its circuit on all the movie channels. My wife thinks I am nuts. My children think I am obsessed. I quote the movie and I believe it has shaped me–I am just not sure to what extent! I read the book to try to figure out my obsession. I recently re-read the book because I enjoyed it so much. Honestly, I cannot quit thinking about it. The movie is Moneyball. The movie features the life of Billy Beane, the general manager of the Oakland A’s baseball team. Billy has the unenviable task of putting together a major league baseball team with a fraction of the budget that other teams have. At the time of the publishing of the book Moneyball, major league baseball was stuck in a pattern of how they evaluated valuable players, built successful teams, and also how they understood wins. Most teams spent vast amounts of money on scouts who would look for players who “had a great face” or a fit, athletic body. The scouts measured things like speed in sprints and the ability to hit the long ball. Billy had grown tired of what he considered outdated forms of measuring a successful baseball player. BECAUSE THEY DECIDED TO EVALUATE THE RIGHT THINGS. The comment, though personally flattering haunted me because the effectiveness of our ministry was being evaluated by the number of people in a picture. Don’t get me wrong, I believe that numbers matter. I believe that we are spiritually responsible to disciple each student that makes a commitment to Christ through our ministries. However, assumed success based on numbers is like the Yankees assuming they will win the pennant every year because they have the largest budget. It’s not necessarily so! We aren’t winning because we draw a big crowd and we don’t evaluate our ministry that way. Unless we decide what to evaluate, how we “win” will become subjective in the minds of others and we will be held accountable to their unspoken standard. Ministries need to decide (like Billy) what they are going to evaluate and ultimately if what they evaluate will actually mean something for the Kingdom. Don’t let the “scouts” in your church try to evaluate your ministry for you. You and your team can decide what will become your version of success. 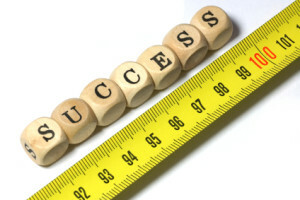 How do you want to measure the effectiveness of your student ministry? Don’t let the church “scouts” fool you into evaluating the wrong things. Below is a list of some of the right things. As your team evaluates the ministry year and prepares for fall I strongly suggest you take a deeper look at the following biblical outcomes of a disciple-producing ministry. By choosing and publicizing how you want to evaluate your ministry your church can begin to celebrate success the same way you do and everyone will recognize a “win” when they see it. Students whose life demonstrates the fruit of the spirit.